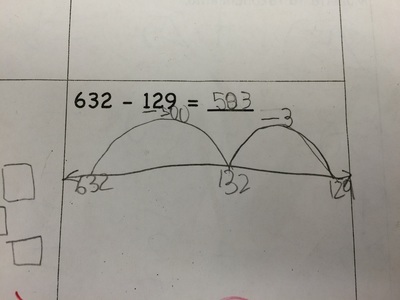 More students will be successful using the number line model. 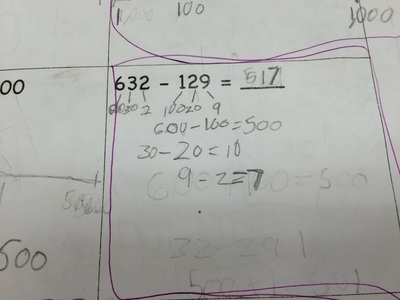 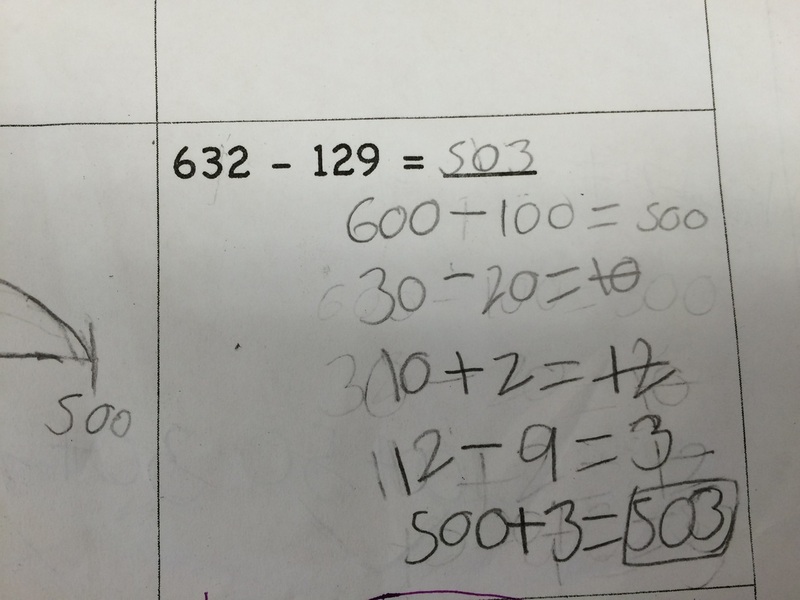 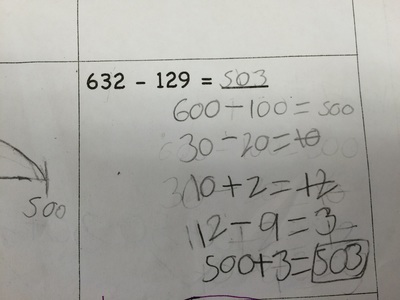 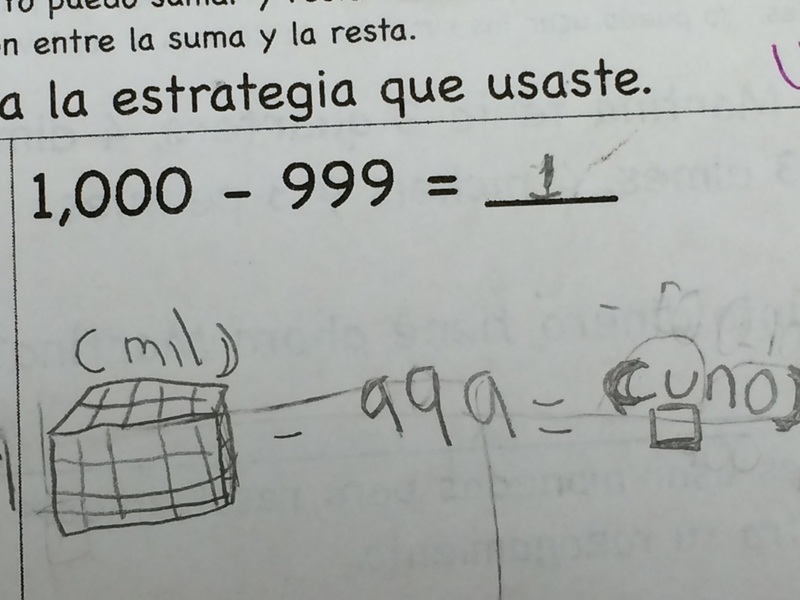 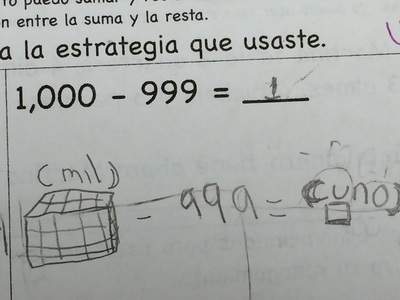 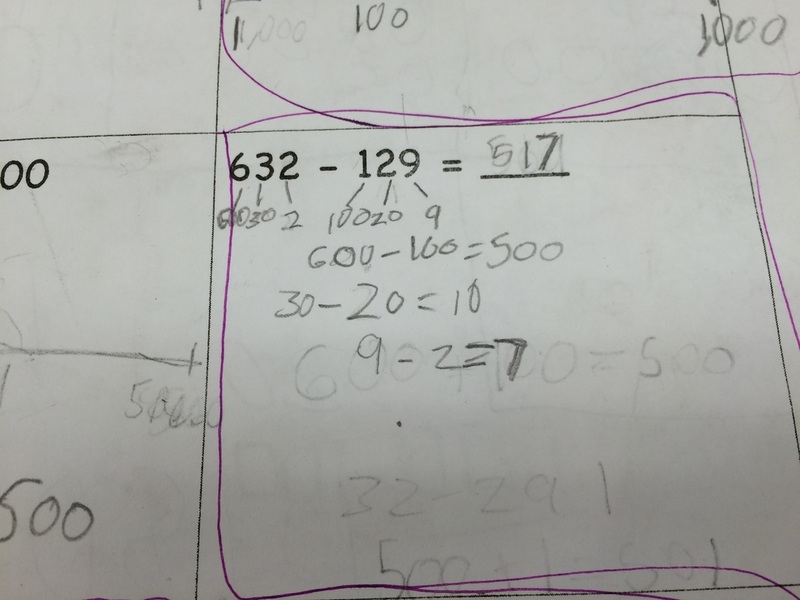 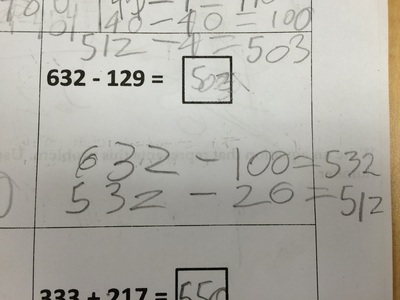 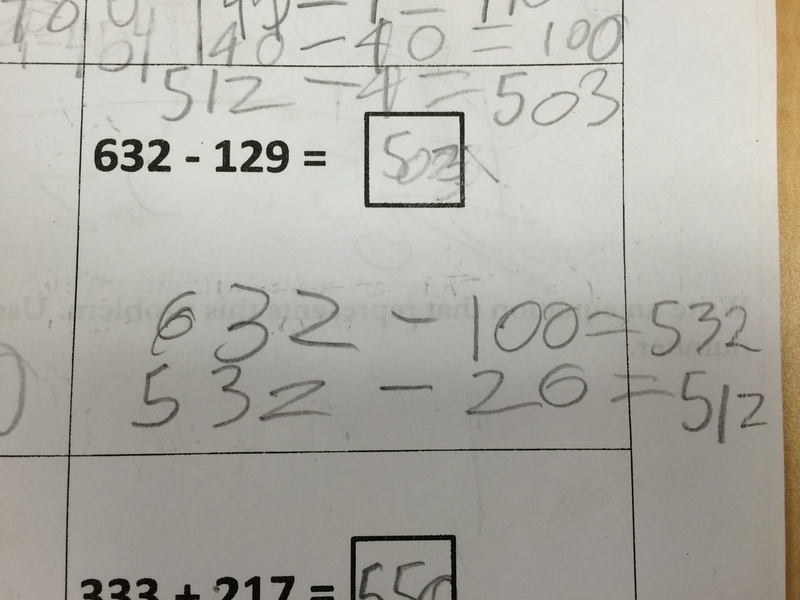 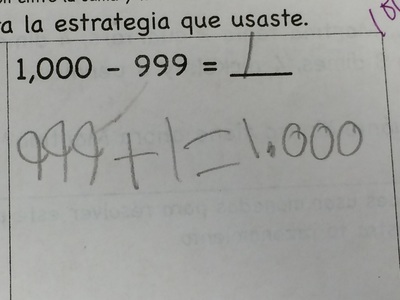 When adding and subtracting two and three digit numbers, an efficient strategy is to keep one of the numbers whole. 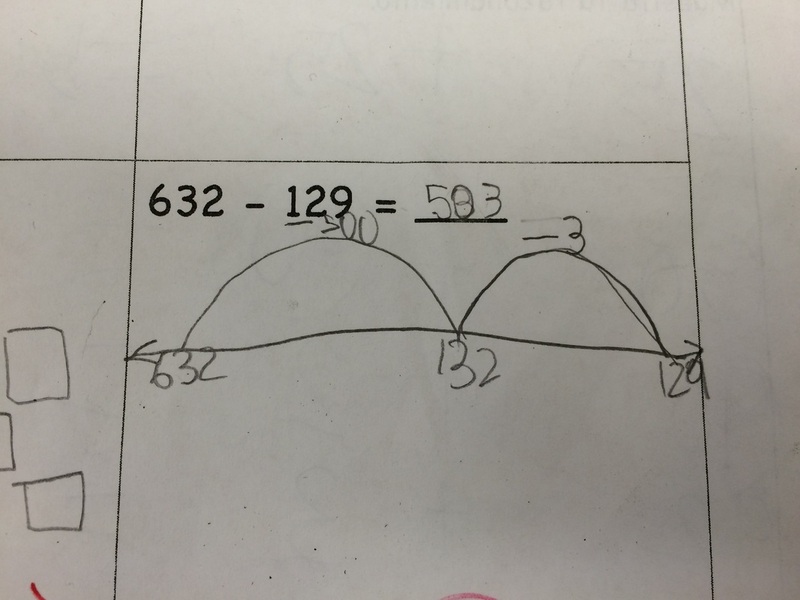 Breaking apart every number often leads to inaccuracy and confusion. 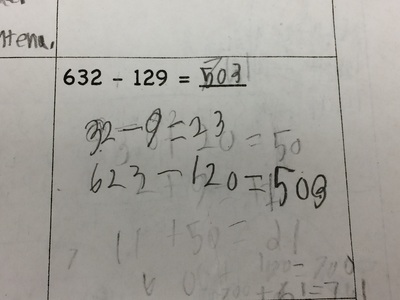 Work with adding and subtracting begins with comfort within ten, then moves to adding and subtracting multiples of ten (Shake Rattle and Roll), and then move into any numbers. 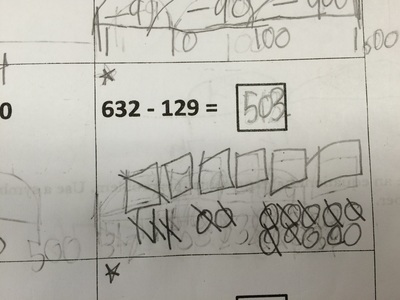 Specific tools scaffold understanding: Unifix Cubes, Base Ten Blocks, Number Lines, Hundreds Chart. 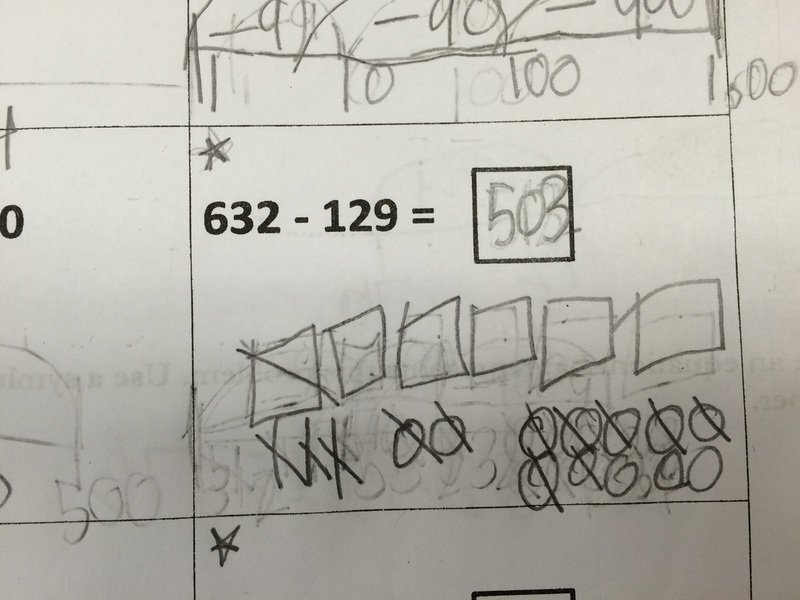 Caution: Base ten blocks cause confusion for students who need more experience with “ten-ness” using Unifix cubes. 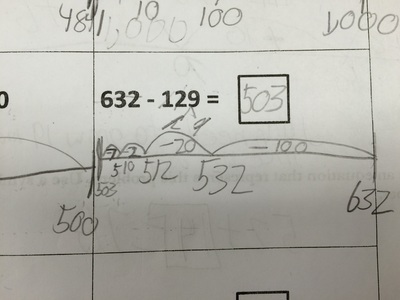 Open number lines are an essential tool when working within 100 to lay the foundation for work with larger numbers. 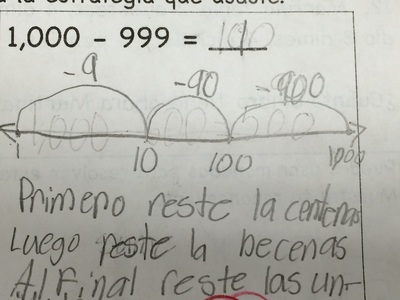 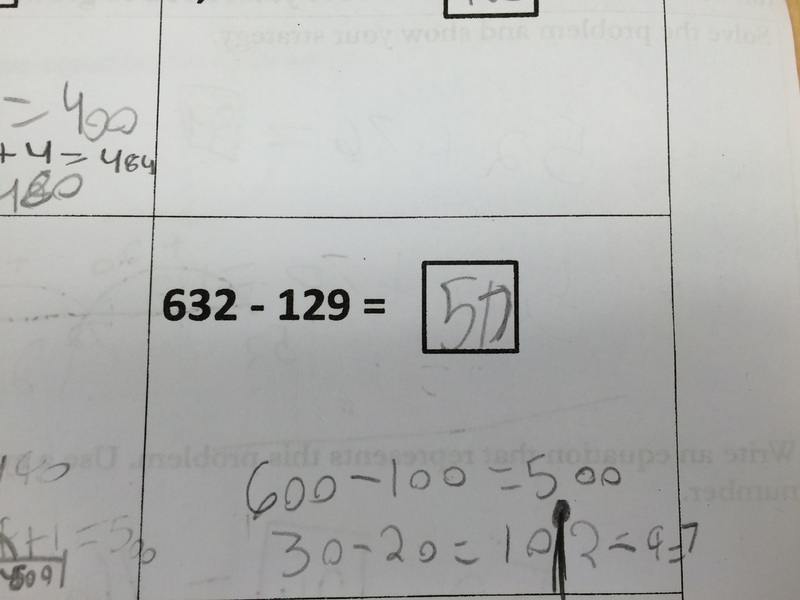 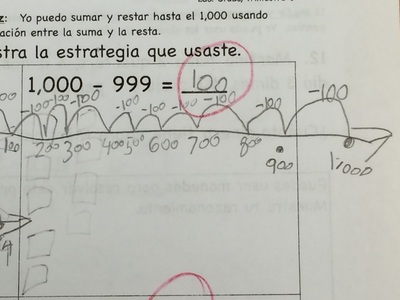 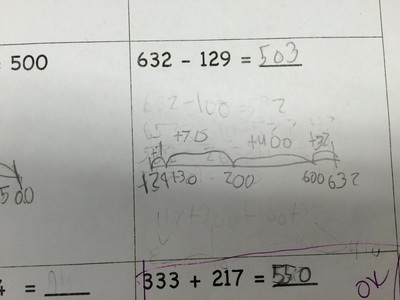 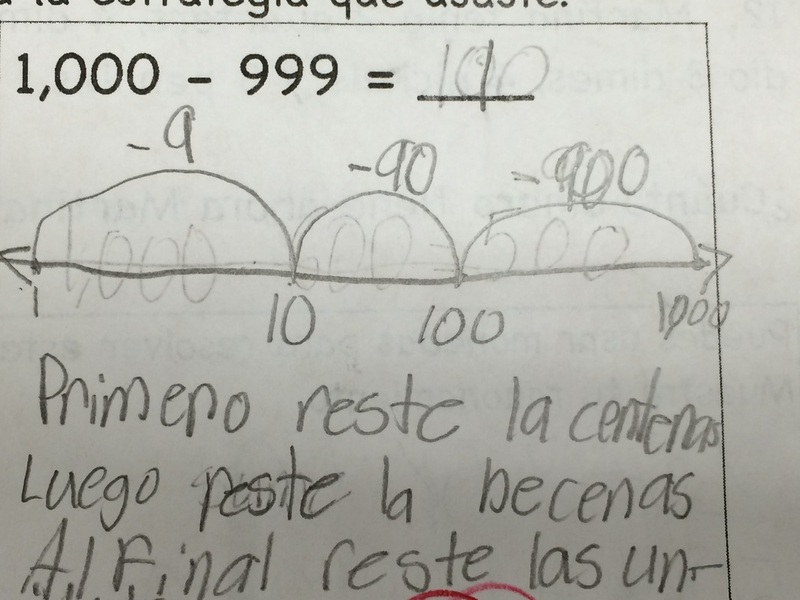 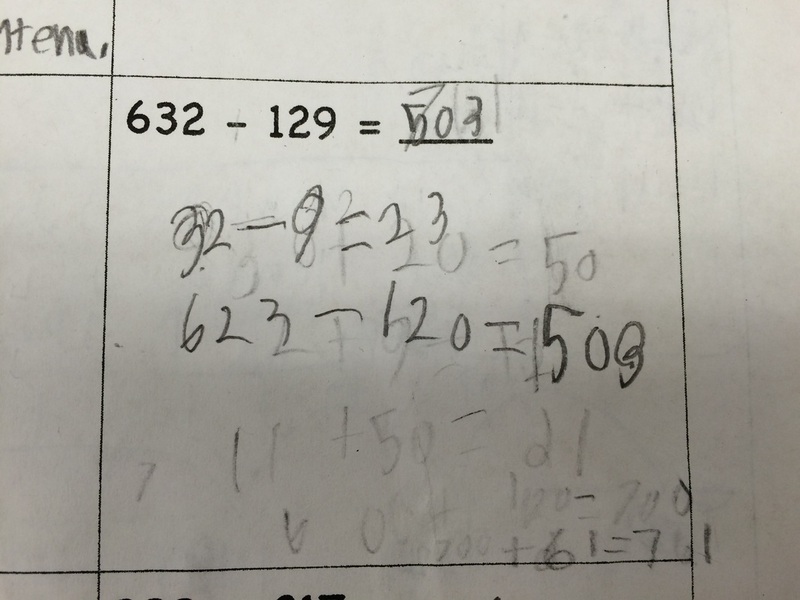 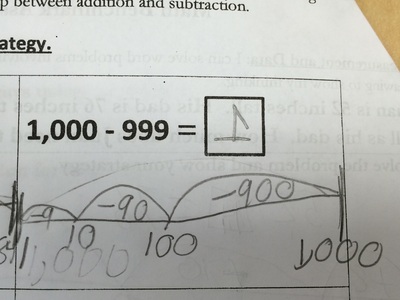 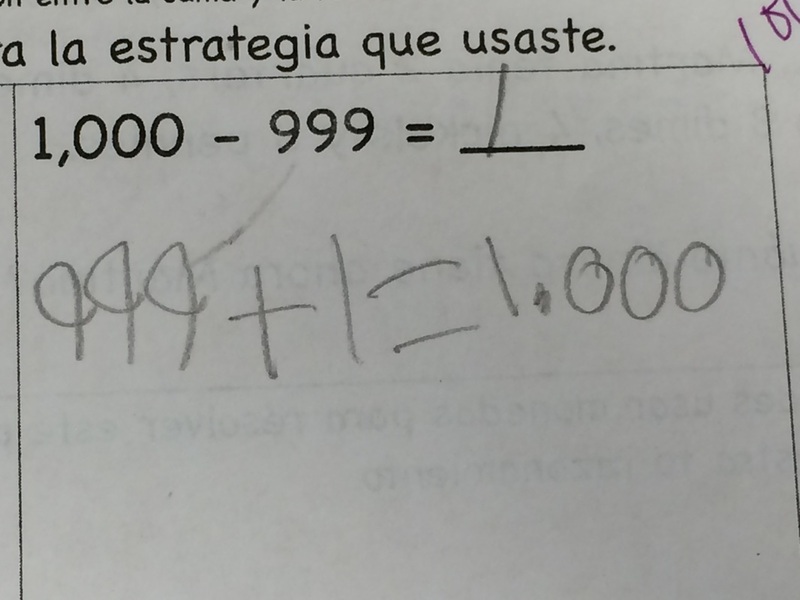 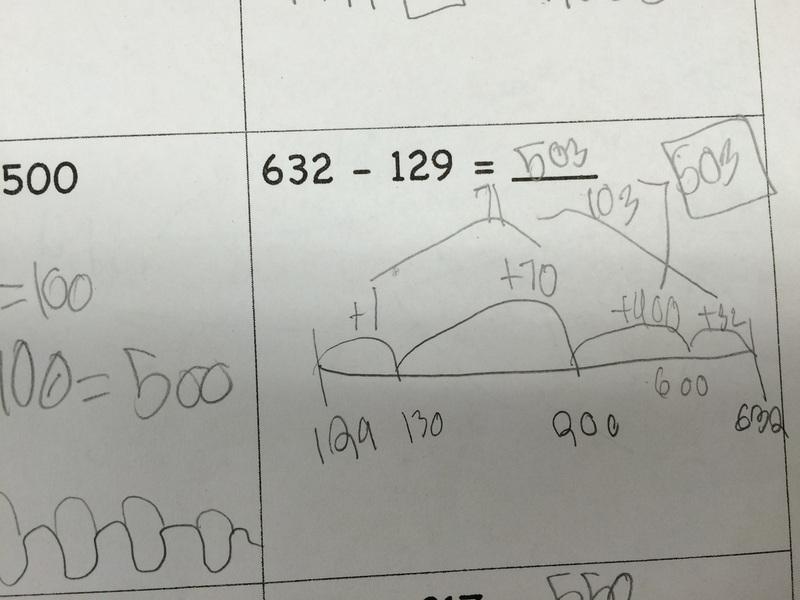 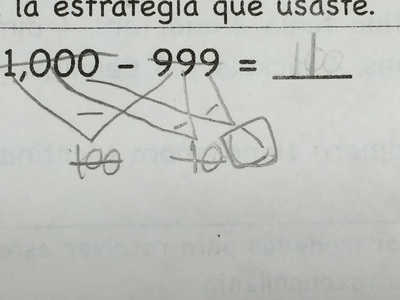 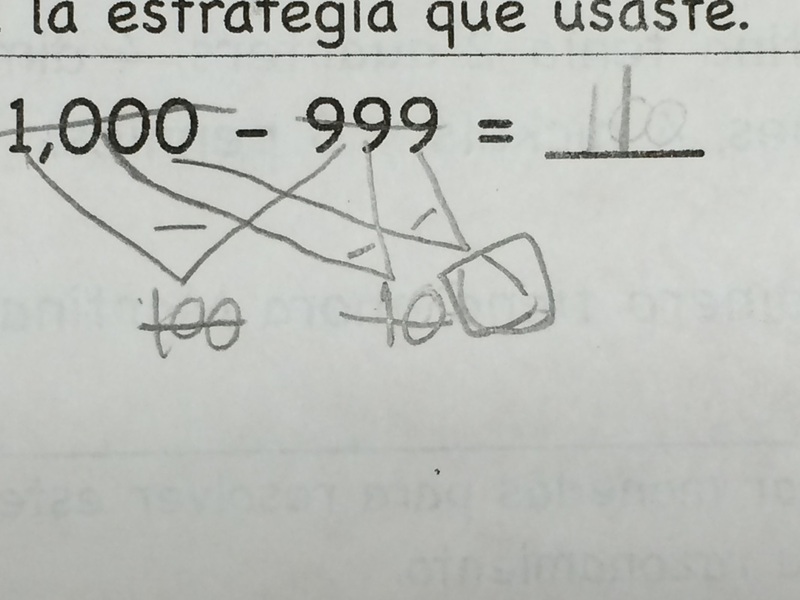 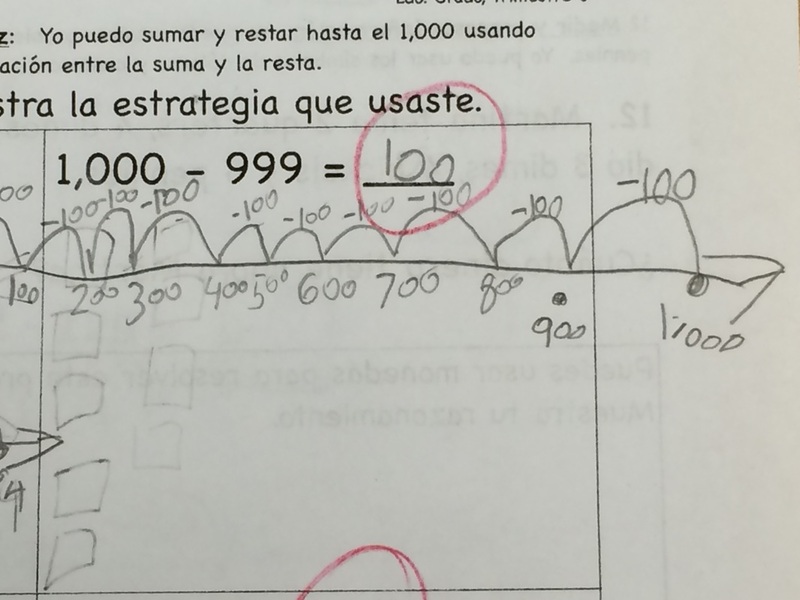 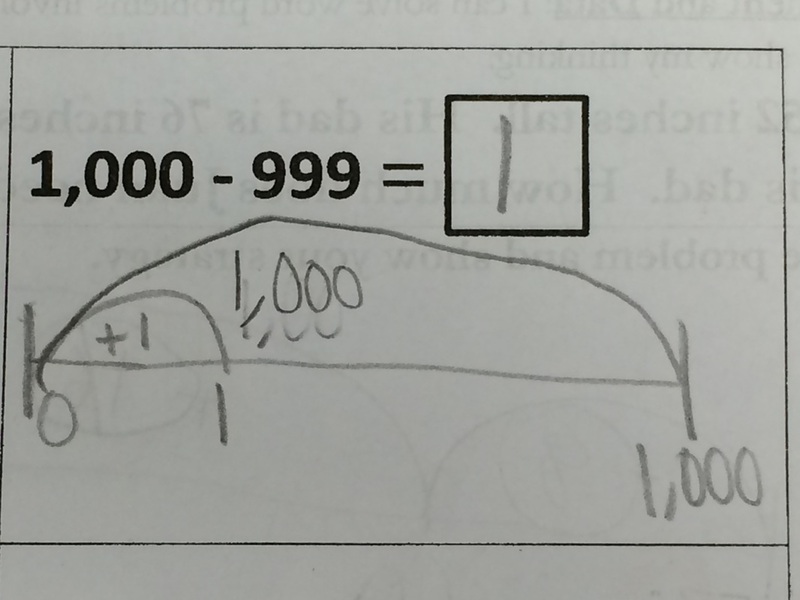 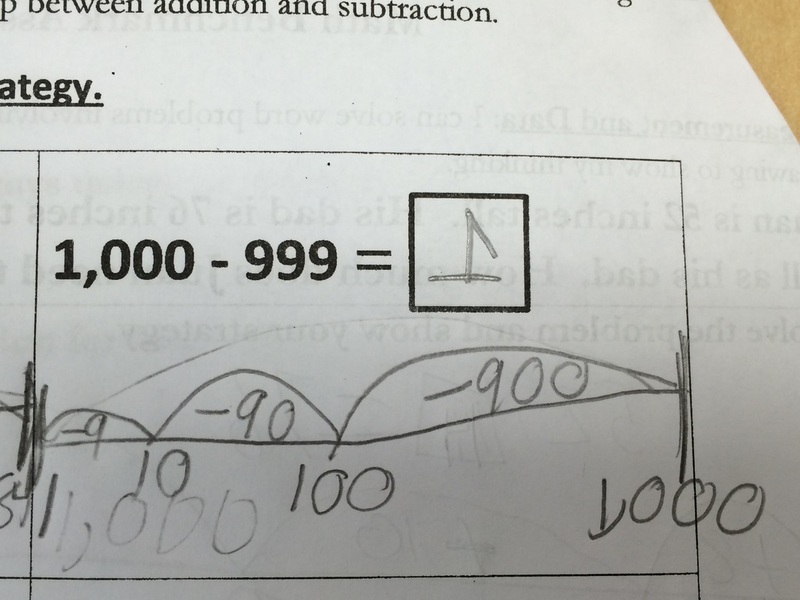 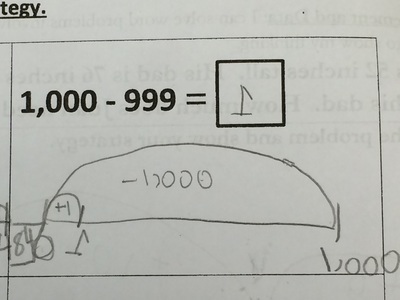 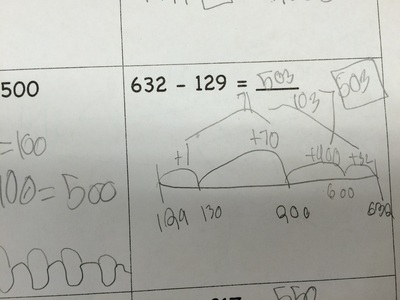 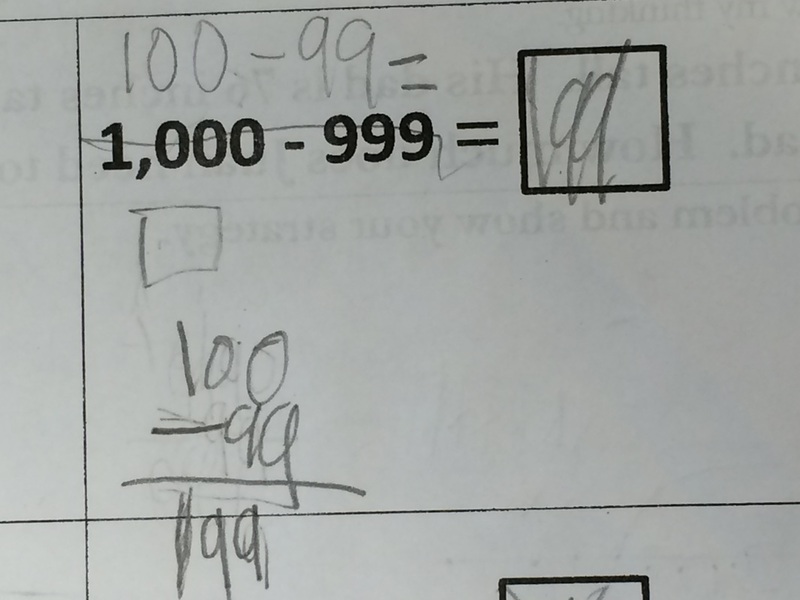 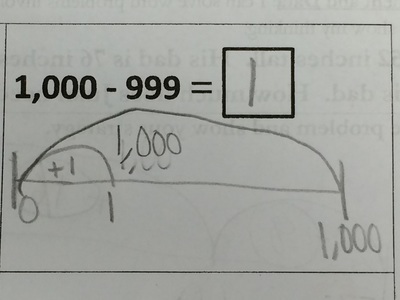 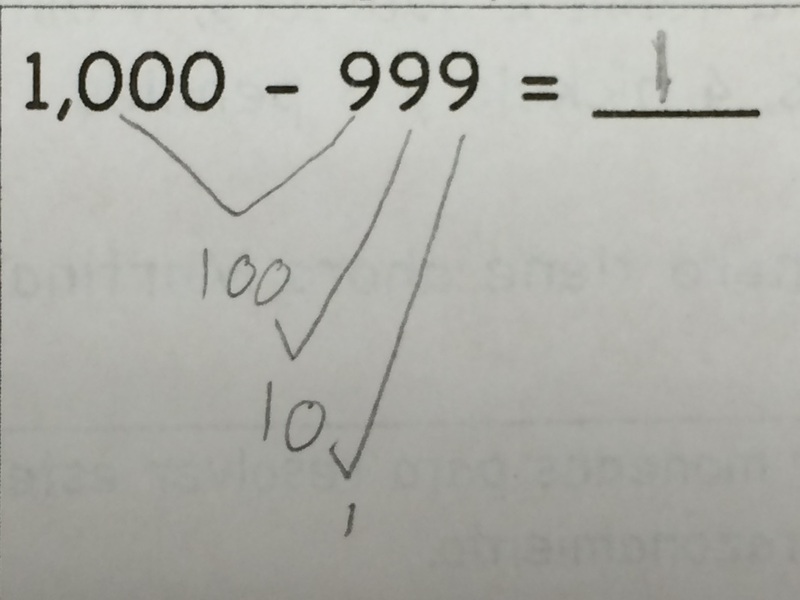 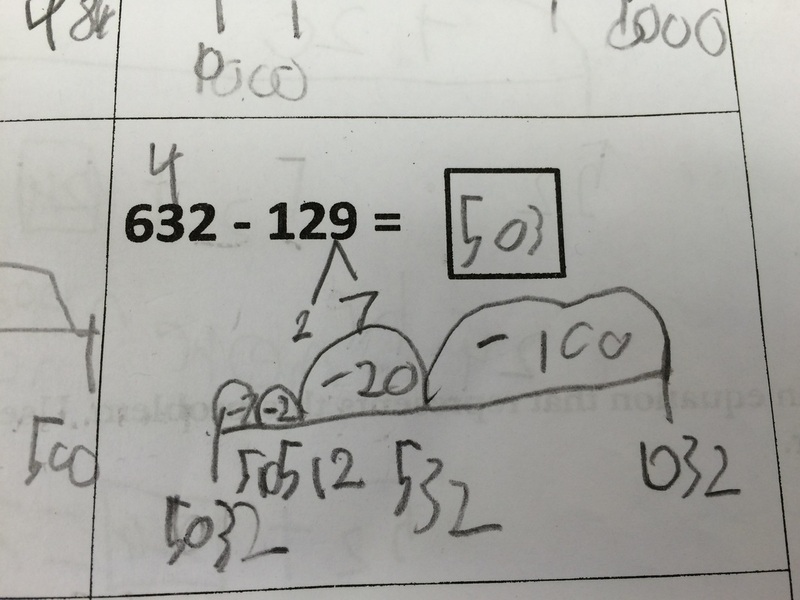 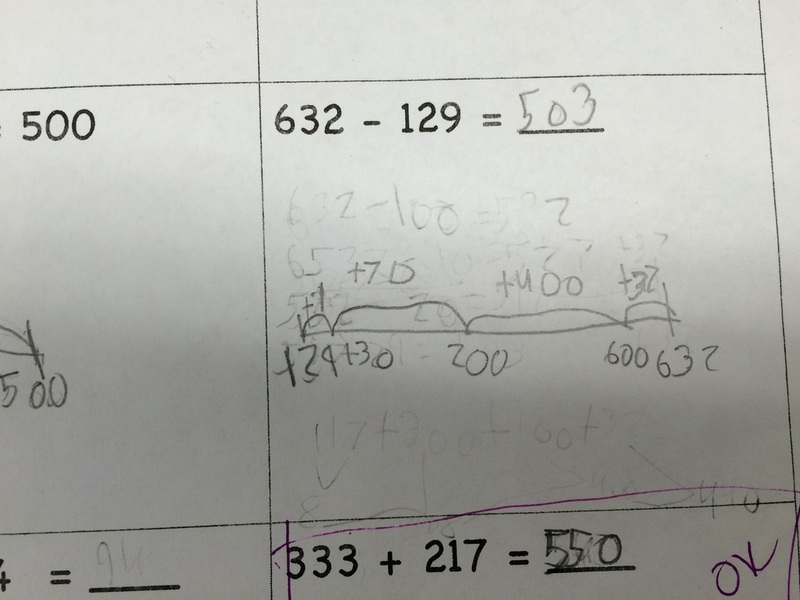 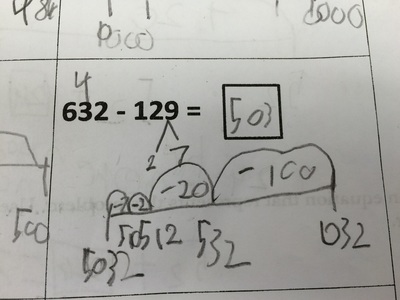 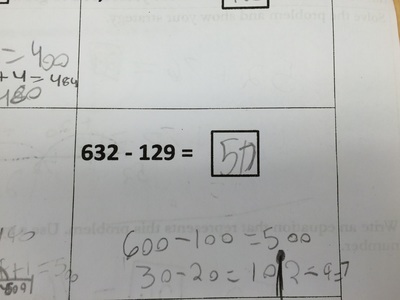 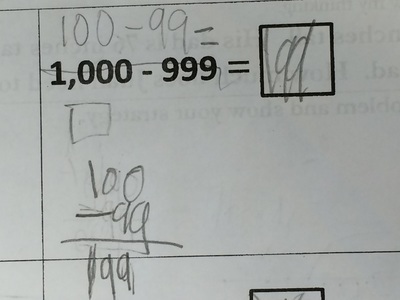 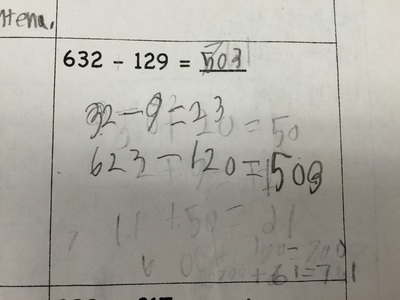 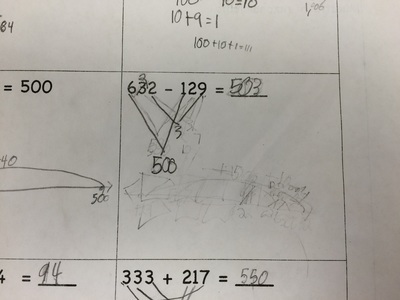 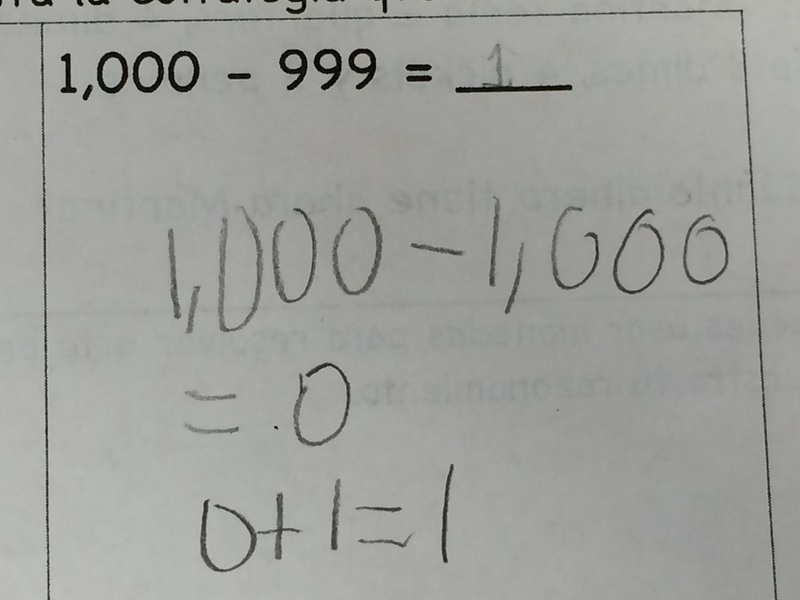 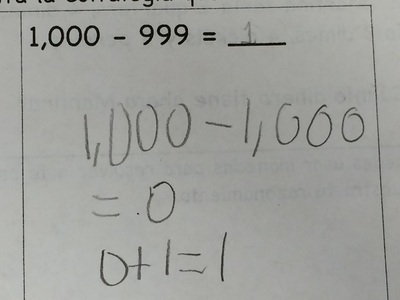 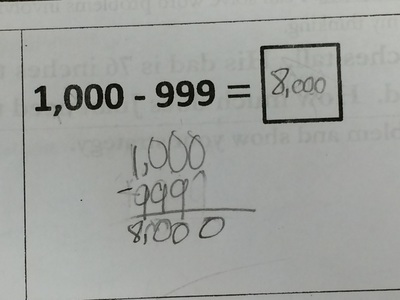 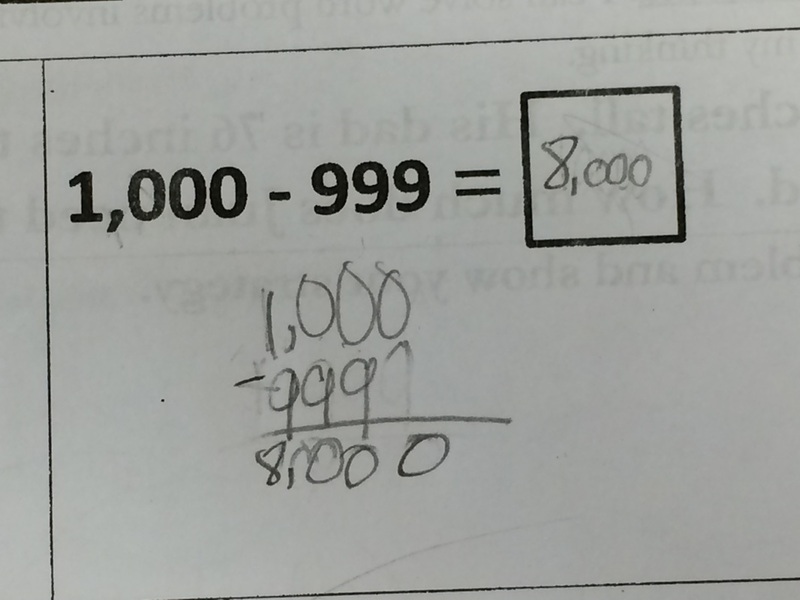 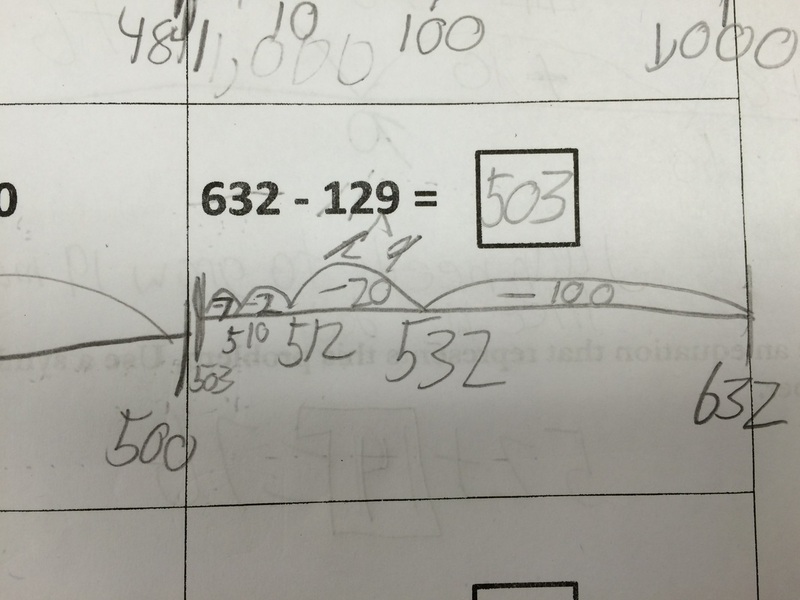 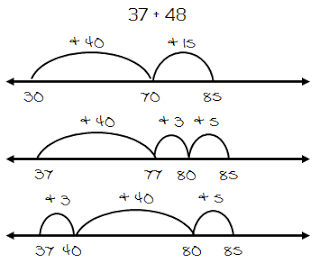 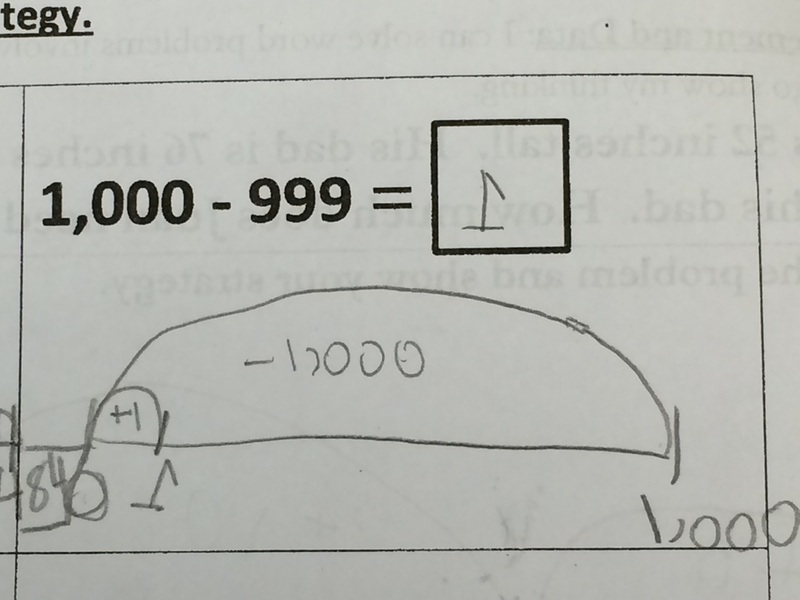 When you work beyond 100, you will definitely need to move to open number lines. Read the problem again and retell the story, in your own words, to a friend. 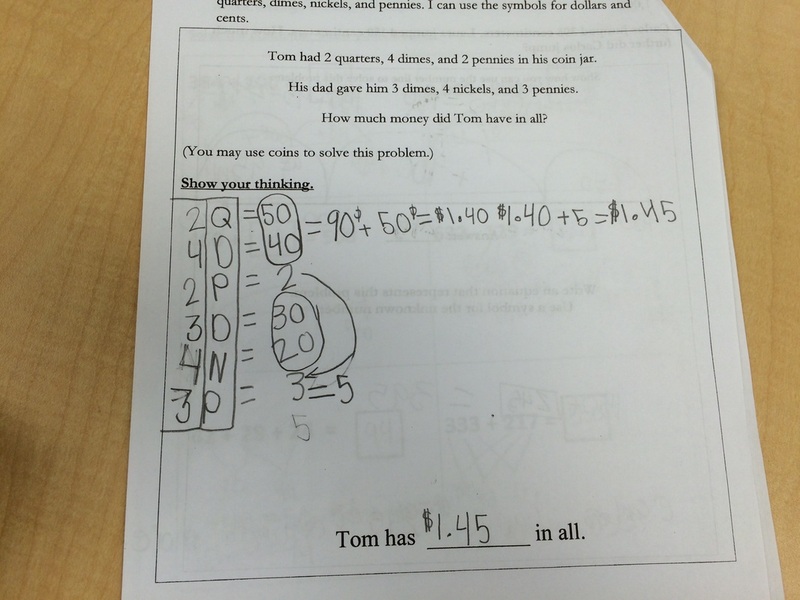 Think: What do we know? 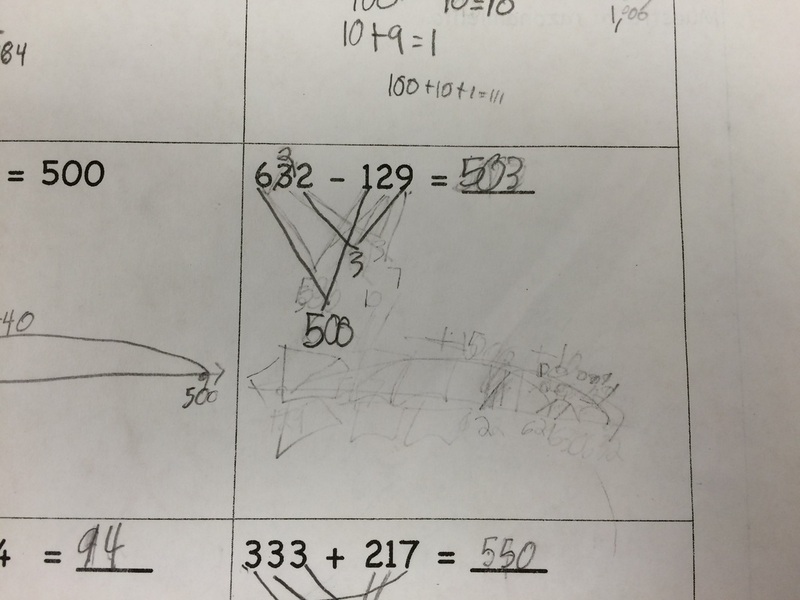 What are we trying to find out and how do we know? 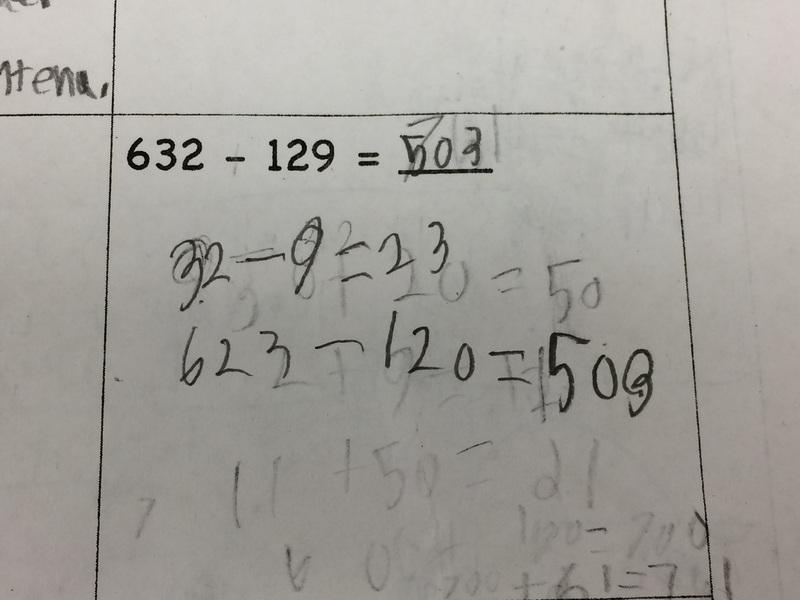 What equation can we write to represent this problem? 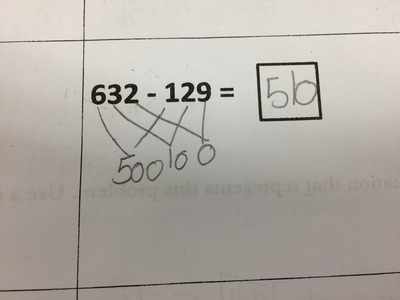 How might we solve this problem? 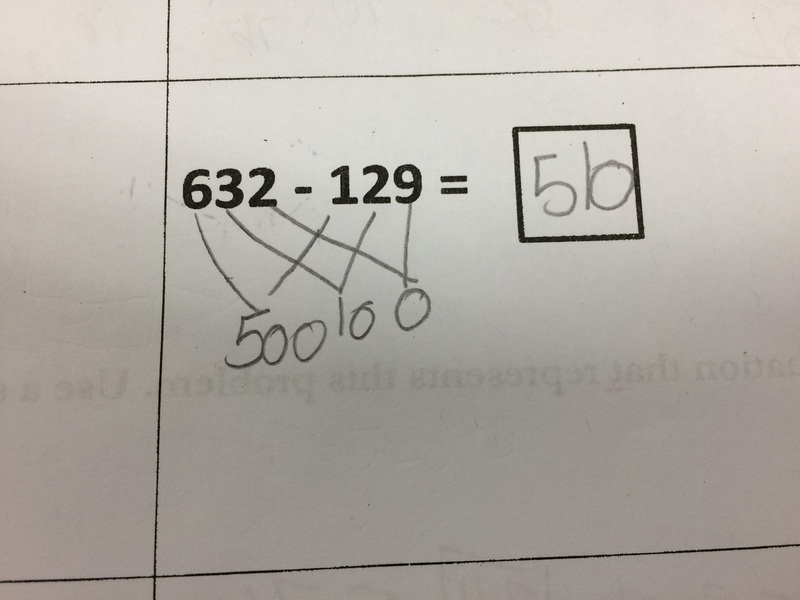 What strategy will we use?